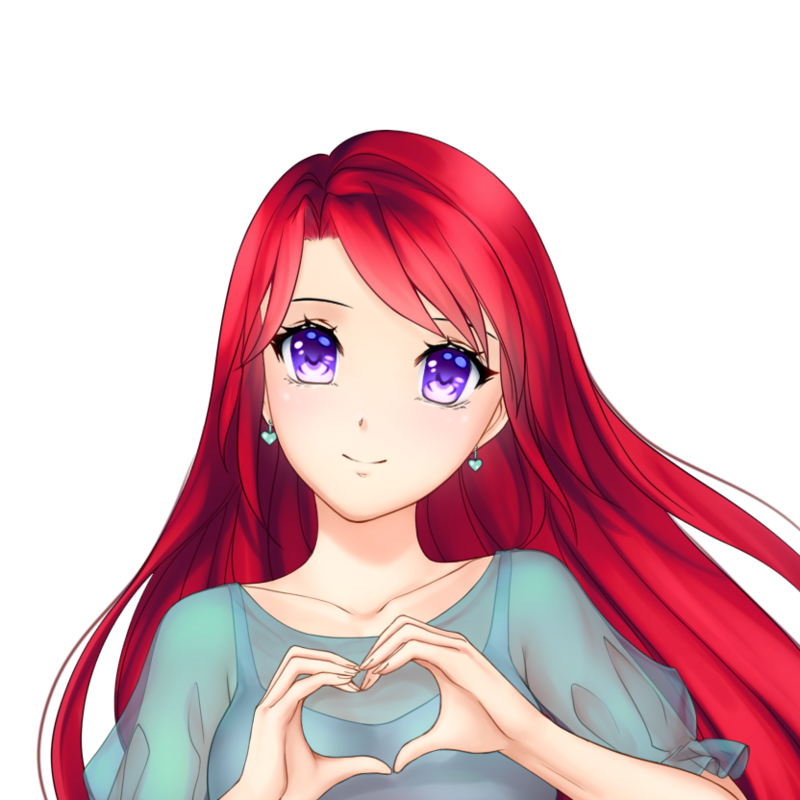 Disclaimer: We offer the best manga character creator on the internet. The configured pictures are free for personal and many commercial uses after purchase. 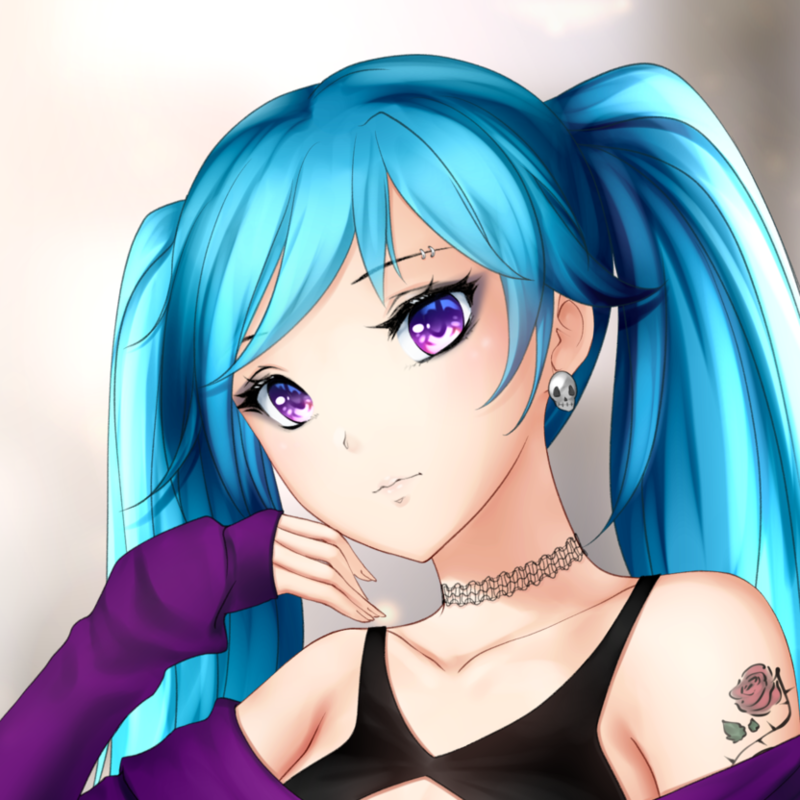 Our anime and manga girl collection is a 100% curated, high-quality selection designed exclusively for anime-girl.com. Configuring a manga character to your likings is not so easy anymore. Since Chrome and other browsers stopped supporting Flash, many doll games on existing platforms stopped working. Fortunately, with our manga character creator, you don’t need Flash anymore! Start configuring right away without installing any plugins. Our current selection of manga characters includes female characters only. Currently, we offer four different original characters. Each of them has her very own background story, name, likes, and dislikes. Furthermore, our library is always growing as we add new characters, and new poses and outfits for existing characters. Configuring a character is as easy as opening the configurator page and clicking through the available assets until you find a configuration you like. Upon opening one of the configuration pages, you’ll get presented with a random configuration for the chosen manga character. From here on, you can click through the different assets until you’ve found a configuration you like. Besides clicking through separate assets, you can also smash that “random” button to shuffle all assets and colors. Now, you can purchase that exact manga character by pressing the “add to cart” button and following the checkout process. Finally, after purchase, you’ll receive an email with your manga character as an attachment. From there on, the character is yours to keep, forever. 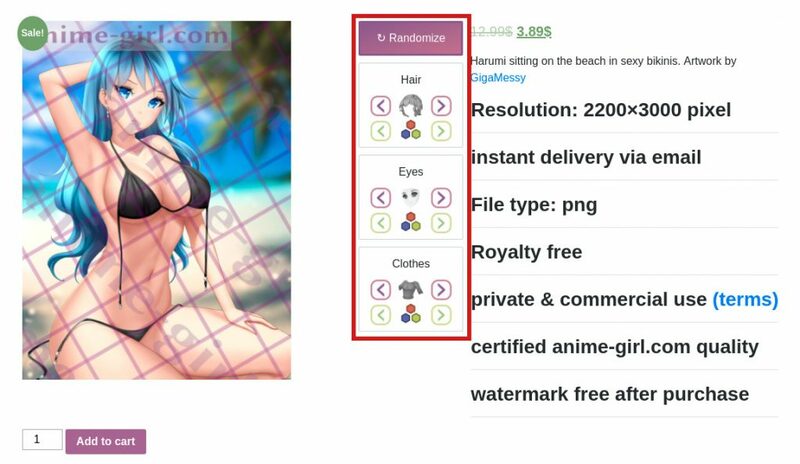 When you purchase a manga character on anime-girl.com, you get high-quality anime art. It’s free for you to use for personal and commercial uses within our license terms. 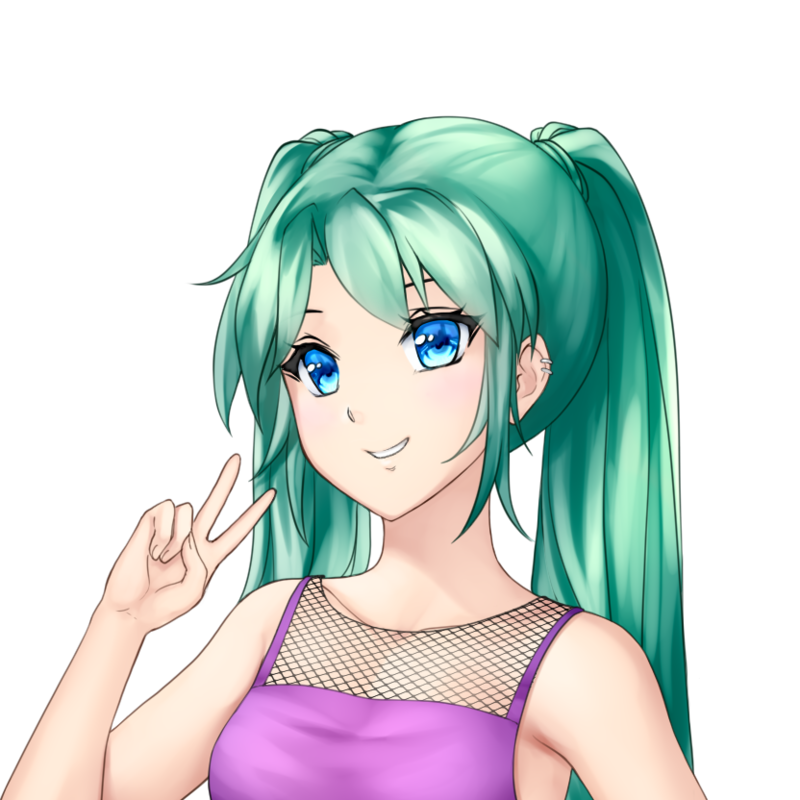 You’ll receive a watermark-free version of your manga character configuration in a resolution of about 2000 x 3000 pixels (differs from manga character to manga character). So we’re providing you with a way of purchasing manga art which you can safely use on your website, YouTube videos and social media pages. Want to use the art for something which is not covered in our license terms? Then send us an email before your purchase to contact@anime-girl.com and we’ll work on a custom license which will cover your needs.